Technology is a powerful tool to support and achieve organizational objectives. Creating collaborative teams improves the efficiency and effectiveness of service delivery. Stretching budgets ensures that money is available to fund critical government services. More services can be offered when less time is spent managing existing programs. Opportunity for earning more money may be a simple idea away. Protect your organization, its employees, citizens, and the sensitive information housed in your IT systems. Learn specific steps to align IT with the strategic vision, leverage technology, and initiate transformation. Most local government managers would like to use information technology (IT) that helps their organizations serve the community by reducing costs, expanding services, and eliminating risk. Sometimes it’s not so easy. 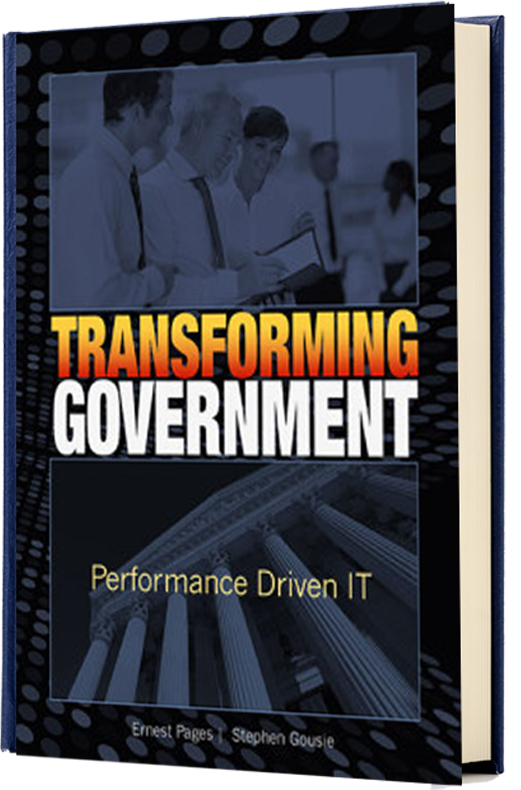 Our book, Transforming Government, is intended to be a practical guide for local government managers wanting to maximize the value of IT in their organizations. It provides recommendations for aligning IT with local government’s strategic vision, identifying opportunities to leverage technology, as well as tackling the ever-challenging step of getting started. Simply adopting individual technologies to fulfill each need as it arises is not the answer. This short-sighted approach has helped to install many of the incompatible technologies that live within local governments today. Technology must be approached from the broader perspective as facilitator of an integrated organization that works together. As our governments adopt more complex technologies, quality management systems are needed to ensure that there is alignment — not conflict — with the goals of the business. If problems exist within the IT infrastructure, there are a whole host of headaches and issues that can slow or even stop government services. At the core, it is important to understand industry norms and how your IT group compares in terms of functionality, structure and cost to other successful government IT systems. If organizational processes are designed collectively and IT is managed properly, local government managers will be empowered to save taxpayer dollars, reduce business risk, enhance services delivered to the community, and even identify new revenue streams.